About a week ago, I came across a post by a smaller, local convention located in Brooklyn called Puchi Con. It is a new convention which will begin its first year in September 2019. Upon visiting their Facebook Fan Page, I discovered a post made by their social media team that I was not a fan of. It is understandable that Facebook pages for conventions will post funny images, memes, and so forth. In this case, the meme they shared ruffled many feathers… Allow me to explain. The image shared on their post is a take on a meme which has been circulating the anime community. 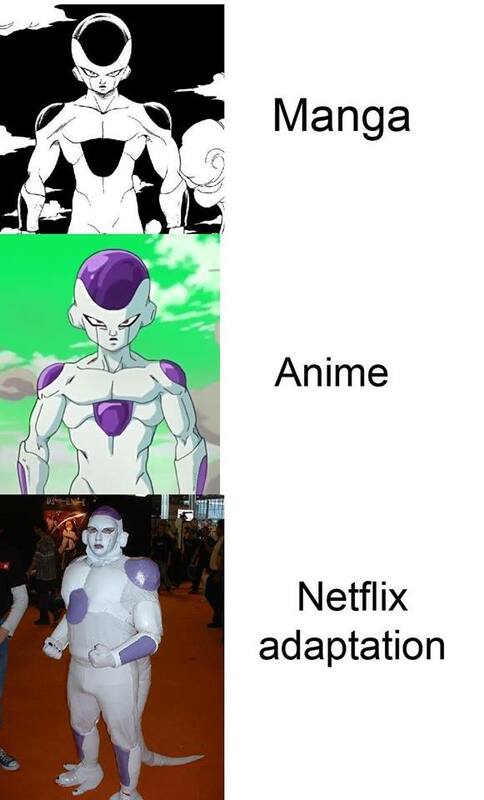 Other versions of the meme are ‘intended’ to be humorous, as they show Netflix adaptions and interpretations of characters originally from anime series. Typically actors and actresses in brightly colored wigs or humorous outfits are shown: in a not so subtle way, the meme hints at poor interpretations of characters that stray far from the original adaptation. This is the first instance I have personally seen a cosplayer being used in this meme. A now deleted post by Public Relations at Puchi Con’s Facebook page showed a Frieza cosplayer and stirred up some controversy. Although my own experiences with cosplay have been mostly positive, I see that there is (albeit rarely), a culture of shaming other cosplayers. 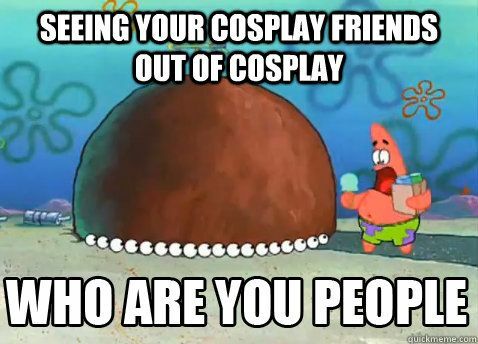 As a female cosplayer who is a little curvier, I’ve experienced this culture first hand. 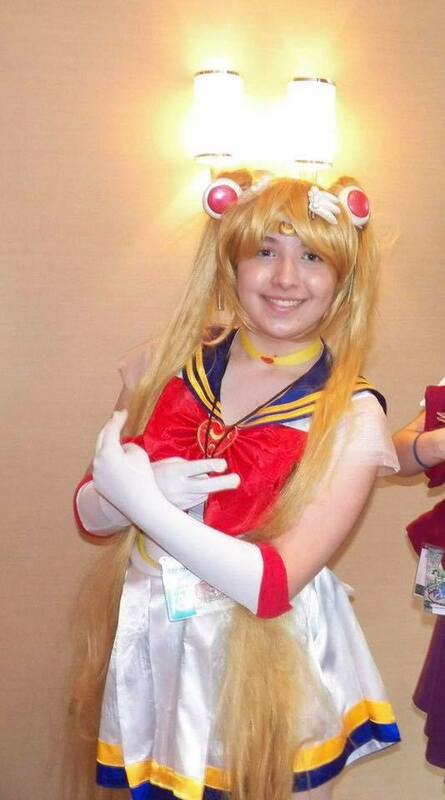 During one of my first years at AnimeNext , I cosplayed as Super Sailor Moon at a photoshoot gathering. The event went well and I had a great time. Though on the cosplay event page on Facebook, someone compared me to another cosplayer and it made me feel self conscious about my image. 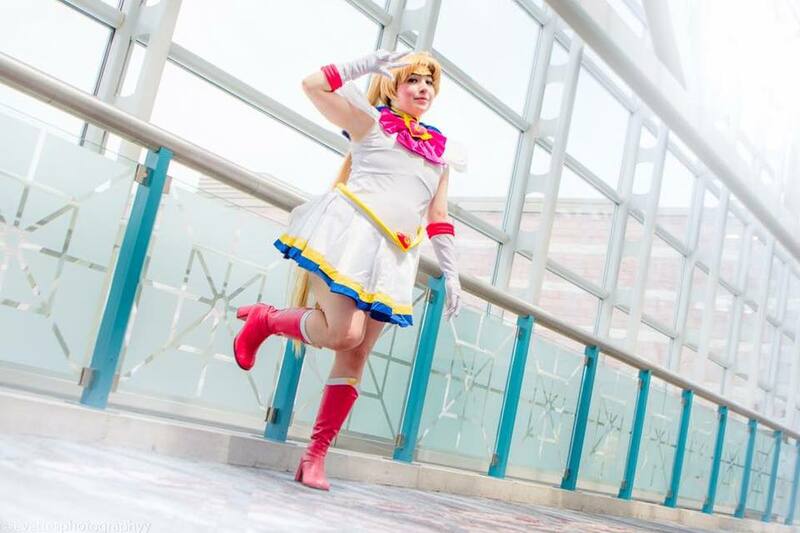 It was years until I decided to cosplay as any character from Sailor Moon.The commenter felt the other girl’s physique was more fitting for the character. Basically , this individual was putting someone else up while bringing another individual down. I felt that other people would be like this commenter and make similar remarks on how my figure wouldn’t suit the character. I felt that I was too chubby, my face was far too round, that my figure was too curvy. But then I got to the point where I just put myself first instead of letting this one person and comment get to me. I reminded myself that cosplay is a fun hobby, one which has introduced me to many friends. It also did play a role in getting me out of a few darker patches in my life and has given me confidence. The positives of cosplay outweigh the negative. Years later, I even cosplayed as this character again! This Frieza meme, in a way, reminded me of my experience. 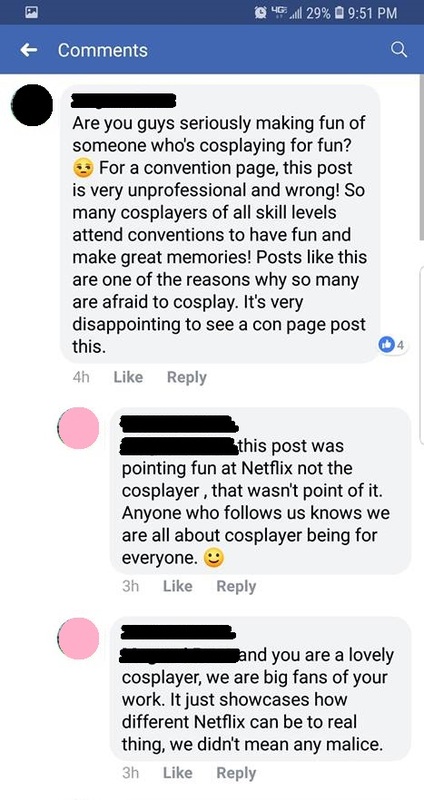 We should know to respect one another in cosplay and make the hobby a positive one,as intended. I noticed that many of these negative comments come to and from strangers. On this token , I want to mention that you never know how words impact others and they can indeed be hurtful. But most of all, I feel that most of all, it important to keep in mind how such comments could be taken by other people. 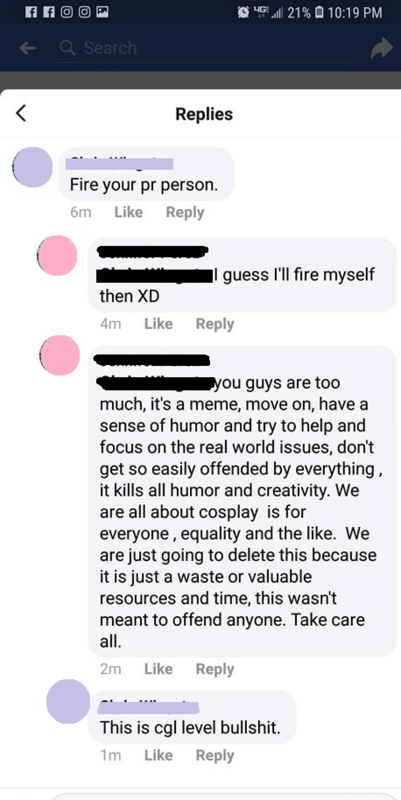 I personally do not post memes of cosplayers because I find that most memes I come across poke fun at the cosplayers themselves. However, I find that memes about cosplay as a craft, especially one’s about the process of making cosplays, can be made in good taste. Some conventions have even done features on cosplayers who come from various backgrounds and body types. The features highlight the fun aspects of cosplay and remind possible attendees that cosplay is indeed, for everyone. If you may not like someone’s interpretation of a character, please refrain from saying anything about it. This is not only out of respect for the person, but also is a part the greater, more positive culture of cosplay. Cosplay is open to all sorts of interpretations and you may like some and dislike some. Although the convention did not intend to be disrespectful in regards to the post, my main issue comes from the way it was handled. I found that the convention did not respond in a professional way. Screenshots are included below. In order to protect the privacy of the individuals commenting, names and profile pictures were removed. The circular icons indicate the speaker: the pink icon features the PR person. Although a post was made after the meme was shared and deleted, it was not a direct response to the controversy. Many comments were also deleted throughout the initial thread which the meme was posted on. Although it may not have been the convention’s intention to offend others, it is still very important for a convention, regardless of size, to have a social media team or small group that can review possible posts before they are sent out. When it comes to social media, I emphasize the importance of thinking carefully about how a post can be perceived prior to making it public. A grad school student and future librarian who seems to run solely on espresso and sweets, Chocola has been going to conventions for about eight years. In her free time, she loves to bake and cook, as well as write! « Episode 381 : All Hallows Eve.